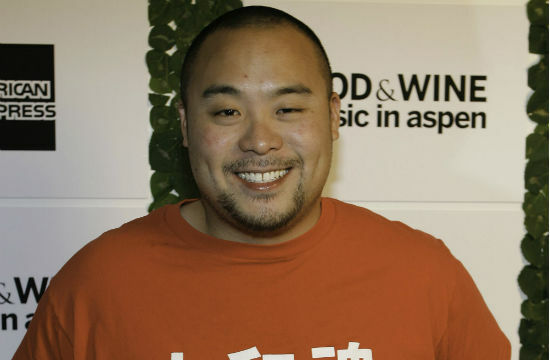 The main problem with Maple thus far, is that it doesn’t have enough David Chang. In theory, it’s an awesome idea. The service provides lunch and dinner, at $12 and $15, respectively. The cost is inclusive of tax, tip, and delivery fee. At each meal, there are three entree choices. A dinner entree might be miso glazed eggplant, or tamarind-glazed pork, with three sides (usually three veggies, or two veggies and a grain). There’s also a free sugar cookie, which is the best part. They’ve rolled out the service slowly, with the goal of combating the problems with traditional delivery services. They don’t want the food to have to travel too far so that it stays warm, and also so that it stays composed. We’ve tried UberEats, and every time it seems like it’s going to be great. They have some of our favorite restaurants, and it always arrives quickly. But every single time, there’s been some sort of major issue. The top of the container isn’t on and half of the food has fallen out, or all of the food is mushed in one side of the container. In this regard, Maple does what it says it’s going to do. The food comes on time, the portion size is great, it’s generally healthy, it’s warm, and it doesn’t look like it’s been chewed up and spit back into the container. But, in terms of overall deliciousness: it misses the mark. Everything is painfully average. If it weren’t for the price and ease, I wouldn’t do it again. Problem (hopefully) solved! At least for this week. Chang and Christina Tosi are making the menu. Today’s lunch is a smoked kimchi brisket sandwich. The accoutrements are roasted cauliflower with parmesan & nori, and Korean chili sauce. If you’re vegetarian, or just want something a little lighter, they also have Korean tofu with kimchi brown rice. Desserts are Milk Bar favorites. Guest chefs (or just Chang all day every day) could be what the service needs. Because other than the food, it’s perfect.